As I mentioned in Part 1, wallpaper is frequently hung upside down. Is this Scalamandre Pimpernel paper showing up or down? Manufacturers usually roll the wallpaper up. When you undo the wrapping on the wallpaper roll, the end you unroll is the top. Look for natural design. Find a flower, tree, bird in the design. Where it is positioned should indicate the top of the paper. Look for any shadows (sun shines down). Shadows usually appear near the floor while highlights come from the ceiling. 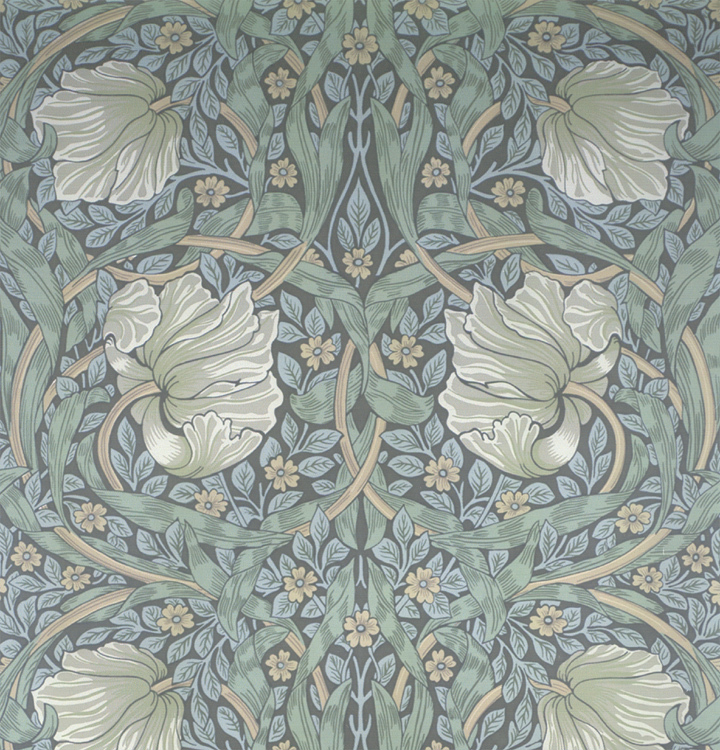 Go to the manufacturer’s web site and look for pictures of an installation of the wallpaper. If the design is not clear, then it is an artistic choice. Unroll two rolls and lay them side by side so you can see the pattern match. If you want feedback, take a photo and send it to someone you trust/your designer and ask for their opinion. Take stick pins, unroll paper about 5-6 feet of a roll. Pin it to the wall and step back. Sometimes a pattern will emerge that you can’t see if it is on the table or in your lap. You don’t have to hang wallpaper from ceiling to floor. You can hang it from corner to corner, railroad it. 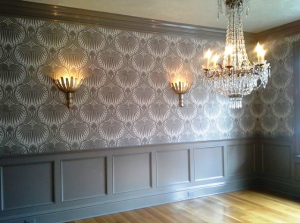 I recently did a client project where the homeowner had striped wallpaper. Instead of hanging the stripes ceiling to floor, we hung it side to side. 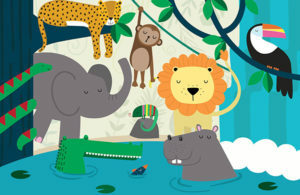 If you have questions about using wallpaper or you want to know more about ordering your wallpaper, email or call me. BTW … the photo above of the Pimpernel paper is showing up. 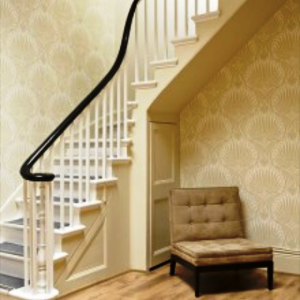 Below is an example of Farrow & Ball wallpaper – one hung up, one hung down.